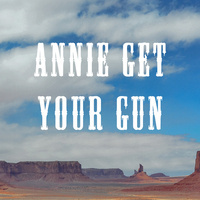 Annie Oakley is the best shot around, and she manages to support her little brother and sisters by selling the game she hunts. When Col. Buffalo Bill discovers her, he persuades this novel sharpshooter to join his Wild West Show. It only takes one glance for her to fall head over heels for dashing shooting ace Frank Butler, who headlines the show. She soon eclipses Butler as the main attraction, which, while good for business, is bad for romance. Butler hightails it off to join a rival show, his bruised male ego leading the way, but is ultimately pitted against Annie in a final shoot-out. The rousing, sure-fire finale hits the mark every time in a testament to the power of female ingenuity.